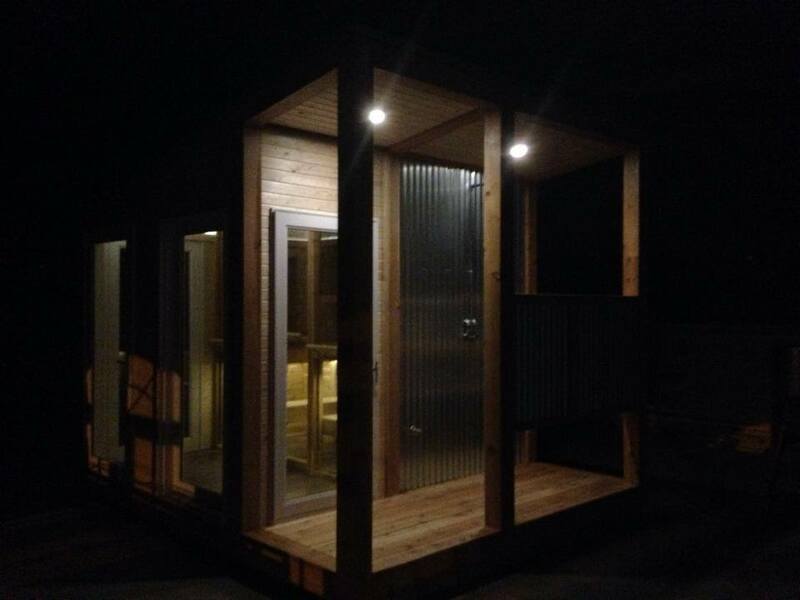 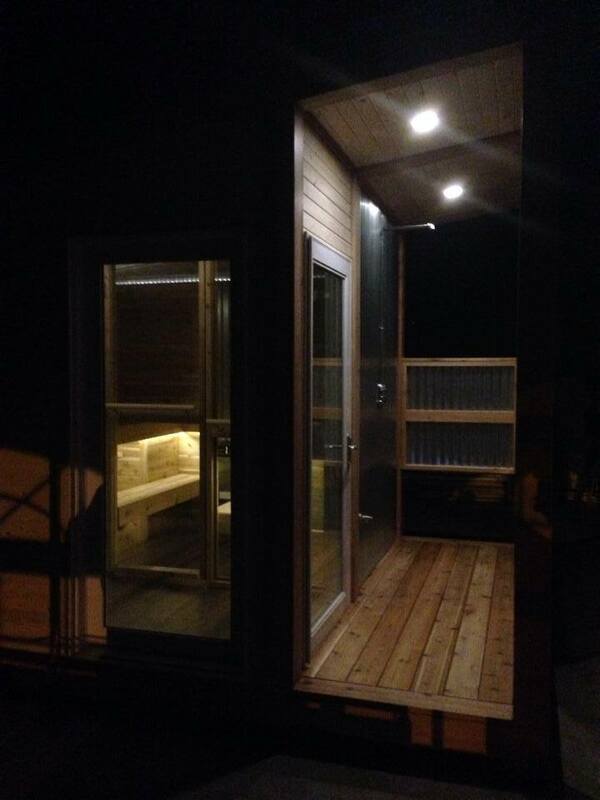 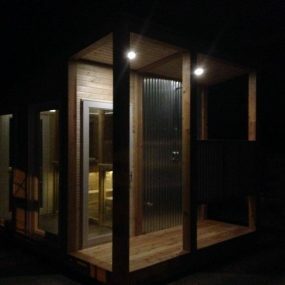 The sauna is also equipped with it’s very own outdoor shower and soft LED lighting allowing you to enjoy it both day and night. 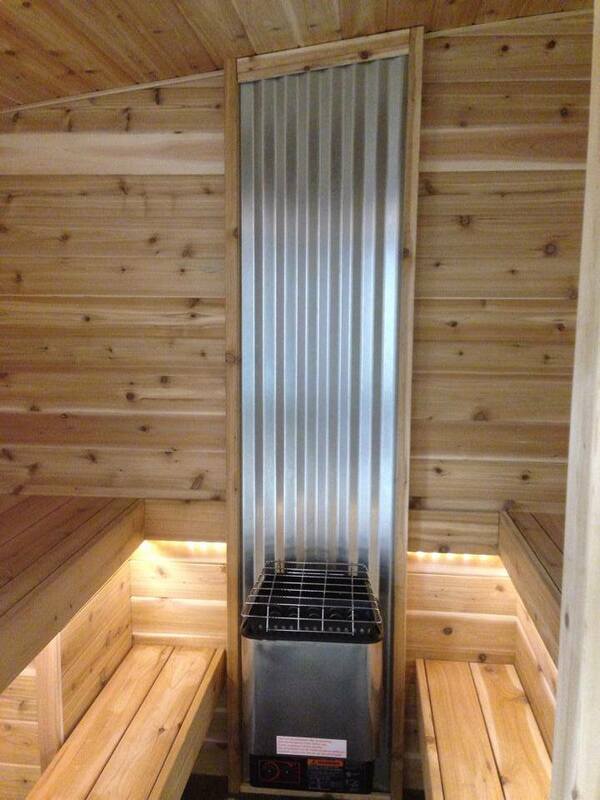 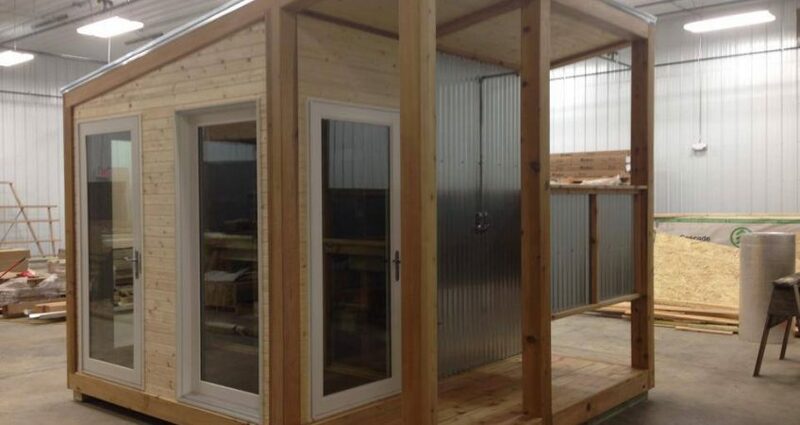 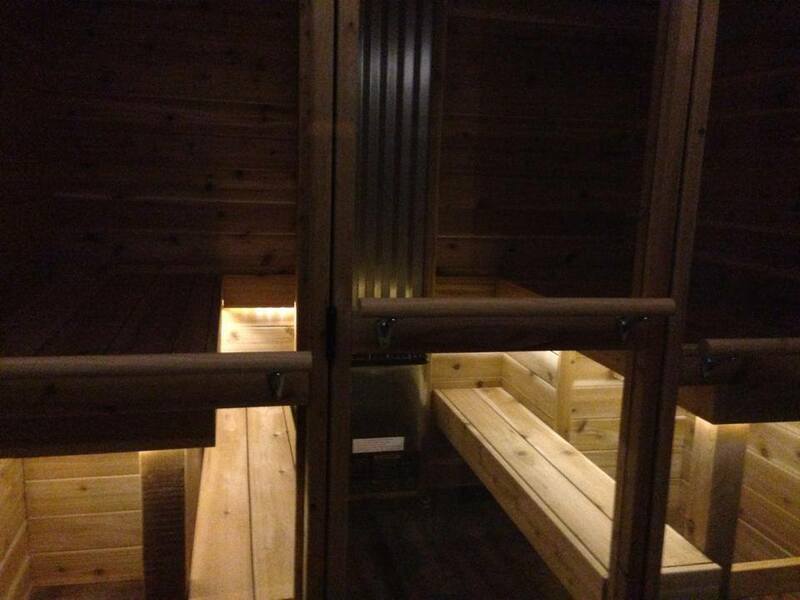 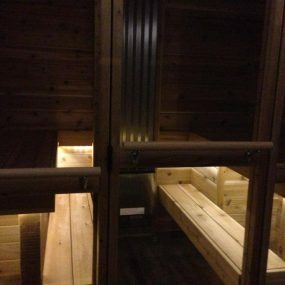 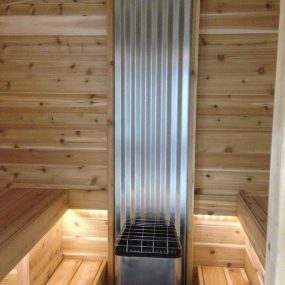 The metal mixed with the wood of the sauna is not only handsome but it gives it a more modern edge which is perfect for the young man that is the proud owner. 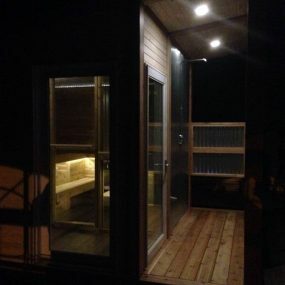 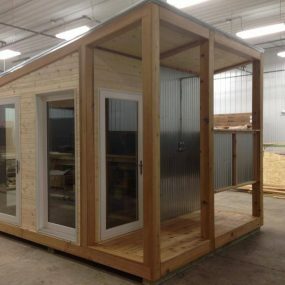 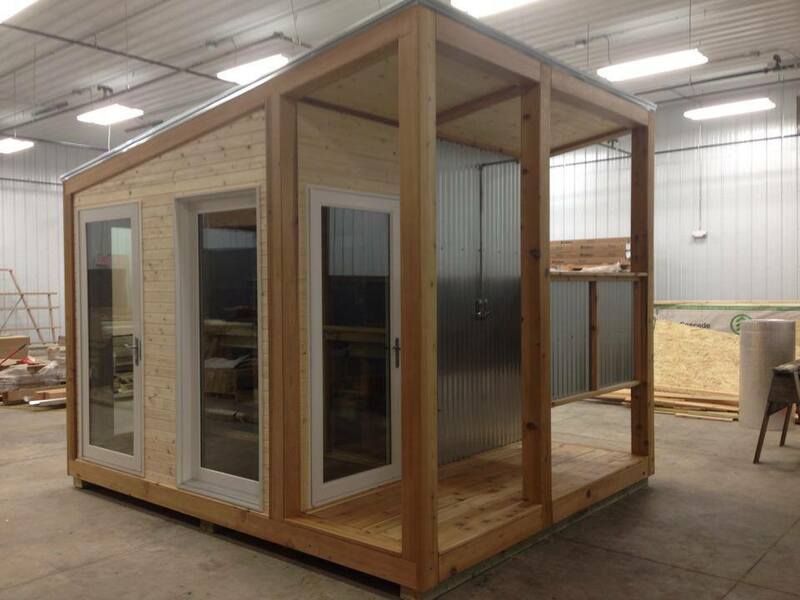 The owner of the sauna was more than pleased with the end results and could not wait to get it to his property to start using it.